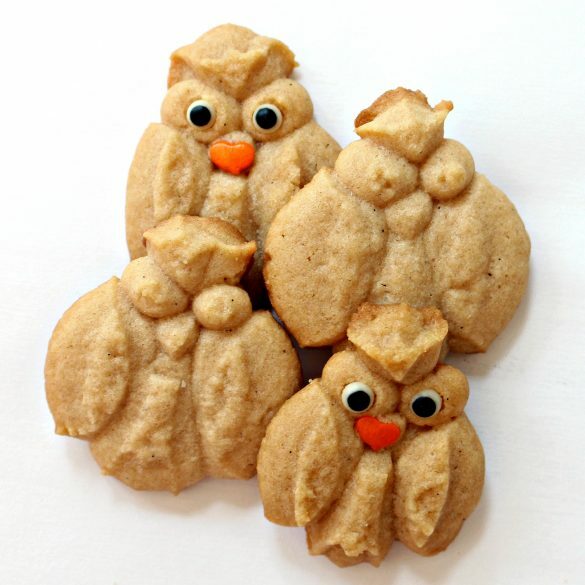 Cinnamon Spritz Owl Cookies are equal parts adorable and delicious! These buttery spritz cookies are warmed with cinnamon and baked until crisp. 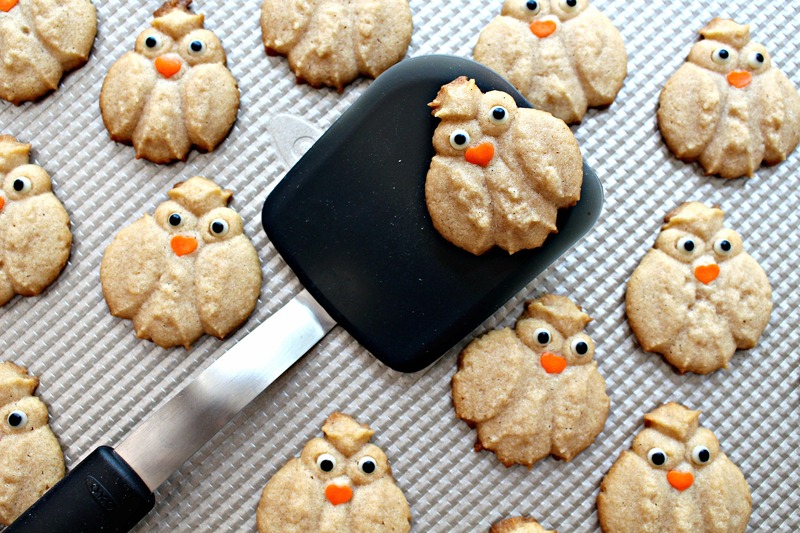 A cookie press makes it easy to create a whole flock of owl cookies in minutes. Quick and easy is great, because you’ll want to eat these cookies by the handful. I always hope that my cookies will create smiles. With Cinnamon Spritz Owl Cookies I have the opportunity for my cookies to do even more, as part of OXO’s fund raising campaign, Bake a Difference with Cookies for Kids’ Cancer. OXO has pledged $100,000 to help raise awareness and funds for pediatric cancer research. 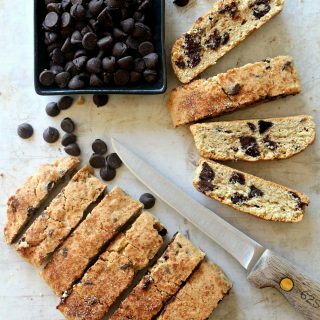 During September, Childhood Cancer Awareness month, bloggers post recipes using OXO products and OXO donates $100 per blogger to Cookies for Kid’s Cancer. I received some wonderful OXO products to bake with, you get a delicious recipe, and kids’ cancer research gets funding. That certainly makes me smile. Using a cookie press is SO MUCH FUN! In minutes, you can press out dozens of cookies in shapes and flavors for all seasons. The OXO Cookie Press is comfortable to use, even with my small hands. 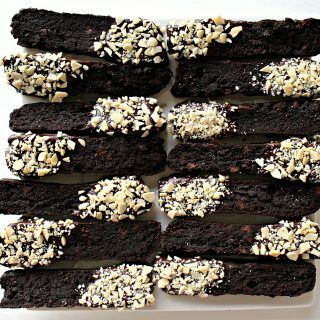 The press makes consistently shaped cookies with one squeeze of the lever. Choose a shape from the 12 discs that come with the cookie press or chose a disc from the seasonal add-on sets. The owl disc is from the Autumn Disk Set. Looking at all of the discs, I was bombarded with cookie ideas, but I couldn’t resist the owl’s potential for cuteness. 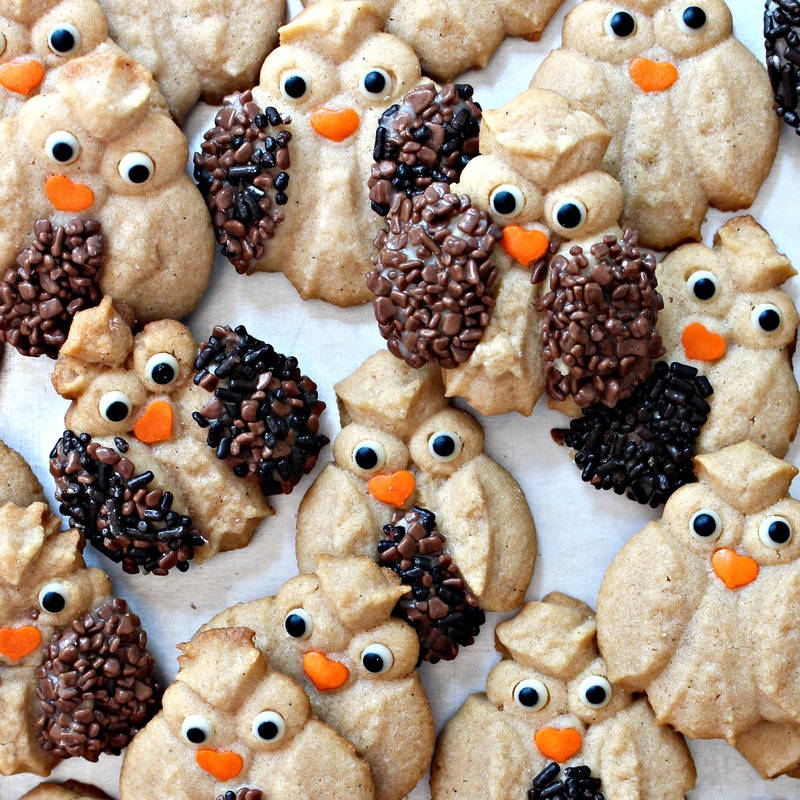 Cinnamon Spritz Owl Cookies are definitely cute. Spritz cookies were originally a German butter cookie. The word spritz is shortened from the German word “spritzen”, meaning “to squirt”, which is how the cookies are made. 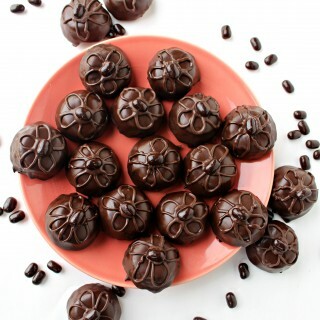 They are pressed or “squirted” from a pastry bag (major muscle workout) or cookie press. The dough needs to be soft enough to squeeze out of a shaped disc, yet firm enough to hold the shape while baking. 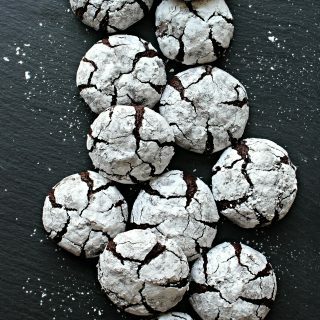 I learned some useful spritz cookie baking tips from Serious Eats. In order to create cookies that are light and crisp, the butter and sugar are creamed together for seven minutes and then again for another seven minutes after the egg is added. That’s a lot of creaming, but the results are worth the time. The flour should be mixed in by hand until just incorporated. Too much mixing can overdevelop the gluten, creating a dense cookie. Press the cookies directly onto the baking sheet. Nonstick spray, parchment paper, or silicone mats can cause the cookie not to stick when coming out of the cookie press and can cause spreading while baking. The OXO Cookie Sheet is micro-textured which, though nonstick, helped grip the cookies and ensured even baking. Refrigerate the empty baking sheet as you are preparing the dough. A cold baking sheet helps the cookies retain their shape. When it comes to decorating, I enjoy going overboard. However, I realize that not everyone has the time or interest for elaborate decorating. Cinnamon Spritz Owl Cookies are cute straight out of the oven, no embellishment required. Each decoration added, simply ups the cuteness factor. It’s also not necessary to completely decorate every cookie. I left some owls bare. Others received royal icing eyes and orange heart beaks. For the ultimate decorated owls, I painted the wings or chest with confectioners’ sugar and water “glue”, then sprinkled on some chocolate sprinkles. **A note about candy eyes** Do NOT use Wilton or World Market candy eyes for these cookies. The eyes will melt in the oven. Generally, I have found that ALL puffy Wilton sprinkles are not meant to withstand oven temperatures. They are meant to be added as decoration on top of frosting. If Wilton eyes are the only candy eyes you can find, “glue” the eyes on after baking with confectioners’ sugar mixed with a bit of water. I used these royal icing candy eyes, which neither melted nor turned color in the oven. 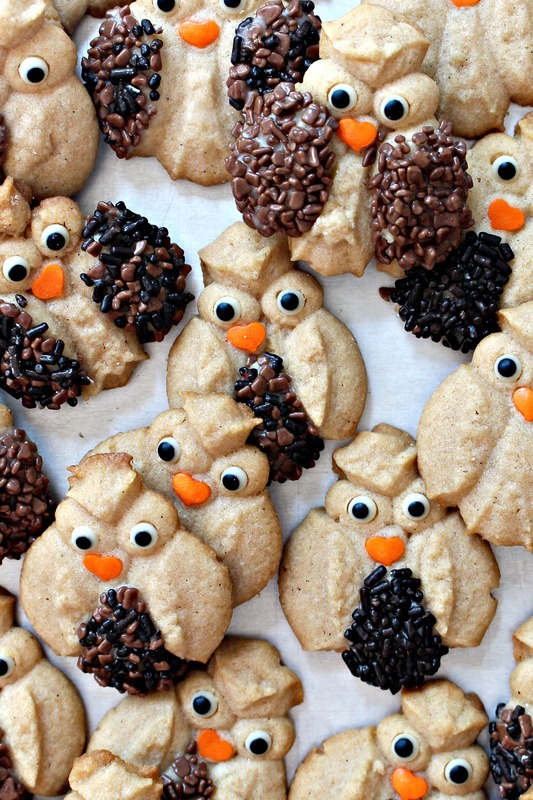 Of course, Cinnamon Spritz Cookies don’t have to be owls. With so many discs to choose from, this recipe could be made for any occasion. 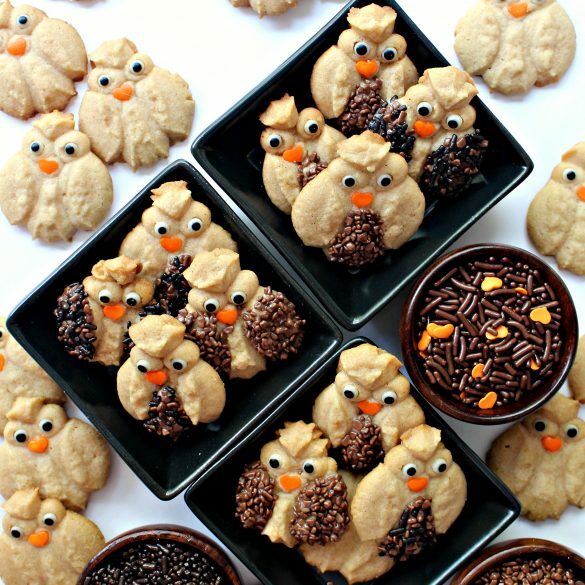 However, I can think of so many occasions when Cinnamon Spritz Owl Cookies would be the optimal shape: fall, Halloween Owls, graduation, teacher gifts, owl themed care packages (owls are a trendy motif), and Harry Potter celebrations. Or, host a bake sale! You can join the Cookies for Kids’ Cancer 4th Annual 50 State Challenge in support of National Childhood Cancer Awareness Month. The goal is to inspire Cookies for Kids’ Cancer events to take place in all 50 states to promote childhood cancer awareness and raise funds to help develop new, and less toxic pediatric cancer treatments. You can host a bake sale in your neighborhood, run a race, or throw a fundraiser at your school. You can join in the challenge by registering your event online and if you mark that you were inspired by OXO when you register, OXO will match proceeds from your bake sale up to their $100,000 annual commitment. Place a cookie sheet in the refrigerator to chill. In the bowl of an electric mixer, cream together the butter, sugar, vanilla, salt, and cinnamon on high speed for 7 minutes, scraping the sides of the bowl several times. The mixture should be light and fluffy. Add the egg and beat for another 7 minutes, scraping the bowl every few minutes. By hand, stir in the flour just until combined. 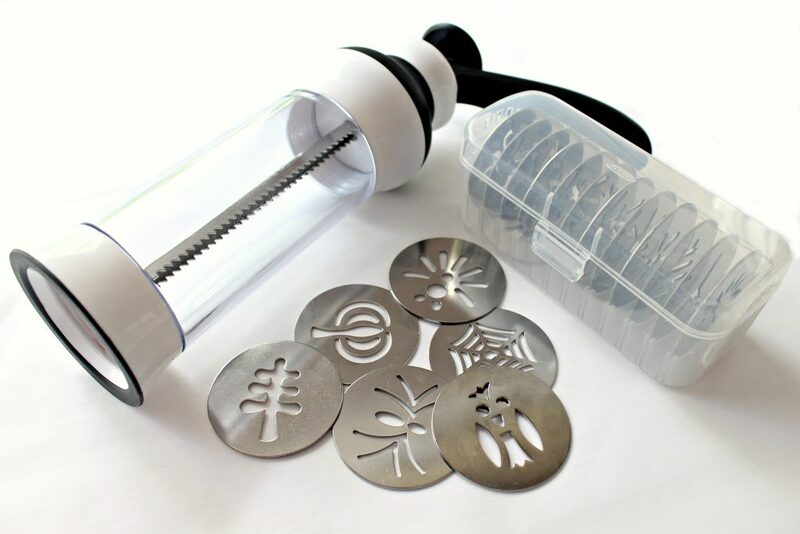 Fill the cookie press cylinder, fitted with an owl disc, with about half of the dough. Press the cookies onto the chilled cookie sheet about 1” apart. If a cookie shape doesn’t come out properly, remove it from the cookie sheet and return the dough to the mixing bowl to reuse. Add the candy eyes and heart sprinkles (beaks) to the cookies. A tweezer can be helpful for placing and pressing the decorations into the dough. Bake for 5-7 minutes or until the bottom edges begin to brown. Remove from the oven and cool on the baking sheet for 5 minutes before placing on a wire rack to cool completely. Optional: To add chocolate sprinkle feathers, prepare confectioners’ sugar glue by mixing together about ¼ cup of confectioners’ sugar with just enough water until a little thicker than white glue. Use a decorating brush to paint the sugar glue onto the wings or chest of the owl cookie, then drizzle sprinkles over the glue. Allow to dry for 1 hour before packaging or storing. 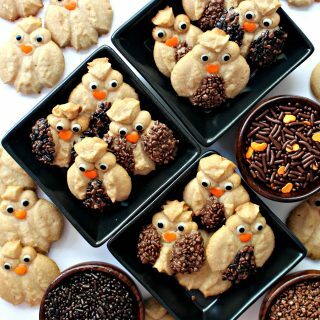 Stored in an airtight container at room temperature, Cinnamon Spritz Owl Cookies stay crisp for up to 2 weeks. Fill a plastic storage container with cookies. 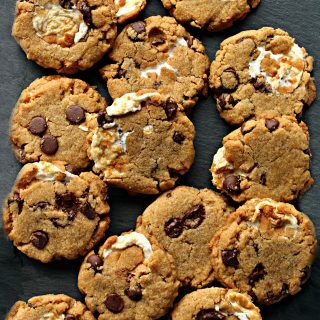 Place crinkled wax paper on top of the cookies to keep the cookies from moving within the container. The cookies can also be stored in freezer weight ziplock bags. Use packaging material to ensure that the storage container or ziplock bags can’t move around in the shipping box. In love with owls? Looking for more Halloween Owl ideas? Check out Halloween Pretzels! I was not compensated for this post, however I did receive free products from OXO for use in this recipe. All opinions are 100% my own. I only use and recommend products I believe in. A great cause and what awesome cookies! They are just too adorable – I am amazed to see these great shapes in the cookie press. 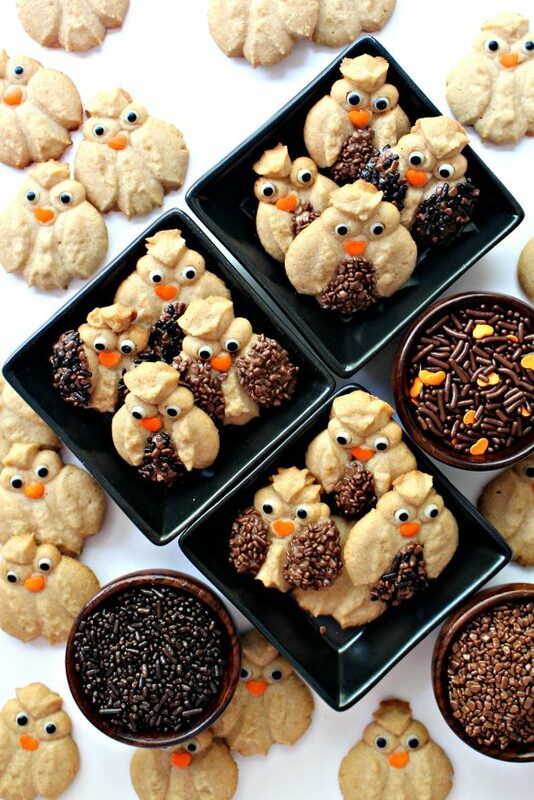 I always think of owls for a fun Halloween treat and this is so nice for the Fall or Halloween. You did a great job and thanks for the tip about the candied eyes. I had no idea! I’ve always been afraid of using a cookie press though I’ve wanted to make spritz cookies that way. You’re giving me courage. Adorable is right! And I can eat my weight in Spritz cookies. They’re so irresistible! I love owls, so of course I pinned these! Thanks! Oh Wendy these are such a perfect cookie! Adorable and tasty with great baking tips included. Love the tip about creaming the butter and sugar – will try that next time! What a great back-to-school themed cookie perfect for any smarty-pants 🙂 Have a terrific week! What a wonderful campaign, and what delicious cookies! They are so cute too – what lovely little owls! 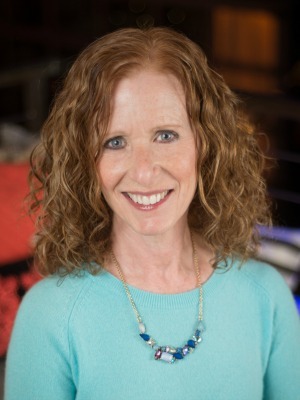 Thank you so much for sharing, and for being a part of Hearth and Soul, Wendy. Will be pinning and sharing around. Absolutely Adorable! I will take a dozen to go please! Your Owl Cookies are just adorable and perfect for fall! I really appreciate you sharing with us at Full Plate Thursday and hope you are having a safe and enjoyable weekend. Thank you, Cindy! Sprinkles are a kitchen essential! 🙂 I hope you will give these a try! Thanks for hosting Wonderful Wednesday. These owl shaped cookies are so cute! 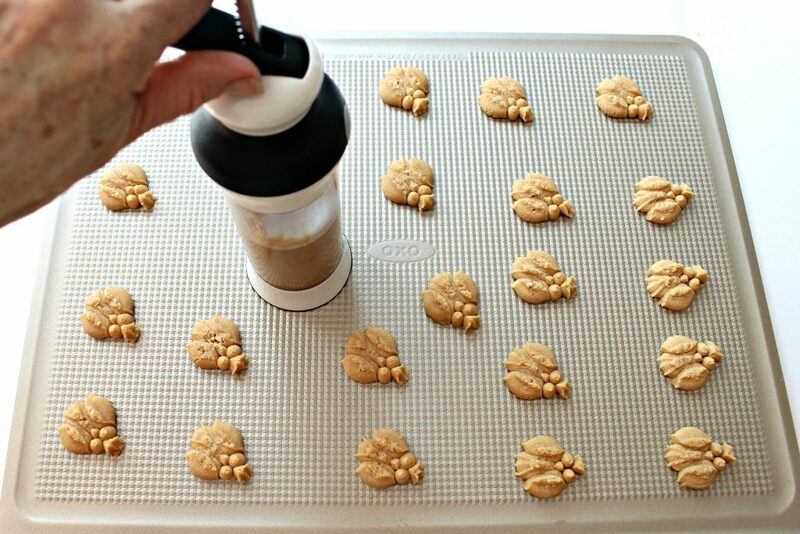 I have never used a cookie press, but I love that you can make shaped cookies like this with them. Thanks for the tip about baking Wilton candy eyes. Stopping by from the #HomeMattersParty – hope you will link up with us again on Friday. Thank you, Nicole! I am a total beginner with a cookie press and am in love with how quick and easy it is to make dozens of shaped cookies! The animal shapes are my favorite. 🙂 Thanks for hosting the Home Matters Party. Super Cute! Pinned it and will give them a try. Thanks for the recipe. SOooo cute! 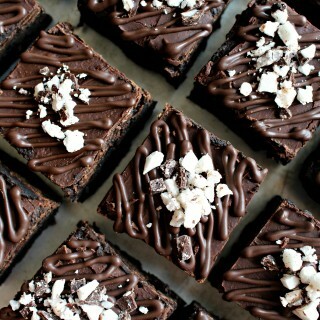 I totally want to make them now. Thanks Ann! Spritz cookies are so easy to make with a cookie press. I couldn’t help smiling at these cuties! The cutest little owl’s ever! Thanks so much for sharing with us at Full Plate Thursday. Hope you have a great weekend and come back soon!